A Sitka Democrat and a Petersburg Republican will face off in November for a seat in the Alaska House representing central Southeast. Jonathan Kreiss-Tomkins of Sitka would be returning for a second term, while Steven Samuelson of Petersburg is hoping his third try at a house seat is successful. 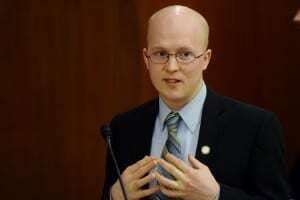 The 25-year-old Kreiss-Tomkins is most of the way through his first term in the state house. He represented a district that includes his hometown of Sitka, Haines, Metlakatla, and other small Southeast communities. 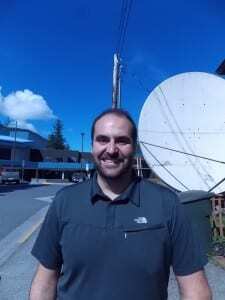 He’s running to represent a district that’s a little different, dropping Haines and Metlakatla but picking up Petersburg and the northern end of Prince of Wales Island. Kreiss-Tomkins figures about 25 percent of the population of his old district is swapped out with people from several other Southeast communities. Kreiss-Tomkins does a little fishing and works for several non profits but says the job of representative takes up a lot of time even out of session. He attended Sitka High School and Yale University before winning his house seat by just 32 votes in 2012. He was also glad that an effort to change the education foundation formula in favor of urban school districts did not pass, along with house bill 77, which aimed to streamline the state’s permitting process. Kreiss-Tomkins has no challenger in the August 19th primary election. Nor does his opponent, 37-year-old Petersburg republican Steven Samuelson. Samuelson went to Petersburg High School, Big Bend College, Embry Riddle Aeronautical University. He’s worked for the Sitka based Allen Marine and has skippered and crewed on a fishing boat out of Petersburg. He’s also run for state house twice before, losing both times to Wrangell’s Peggy Wilson in the primary. Both candidates say they’ll be visiting the communities around the district in the upcoming months and knocking on doors around Southeast. The primary election is August 19th and the general election is November 4th.